If you agree, then check out Prank Pack, a company that makes boxes that house your real present and ultimately confuse your next gift recipient. About the size of a giant phone book, Prank Packs will house most any gift in the world. They also make really funny drinkware and greeting cards. Prank Pack thinks that Hallmark and American Greetings have really lame humor. Generations have grown up with The Simpsons and The Onion. The Daily Show rules the airwaves, and Family Guy is at the stop of the ratings. Yet, somehow, we're still stuck with just god awful humor in the greeting card and gifting areas of bigger retailers. They're here to change that! Started by 4 former staffers at The Onion, they're here to make people laugh harder. I absolutely LOVE their Prank Packs gift boxes and I can't wait to package my gifts in them this Christmas!! 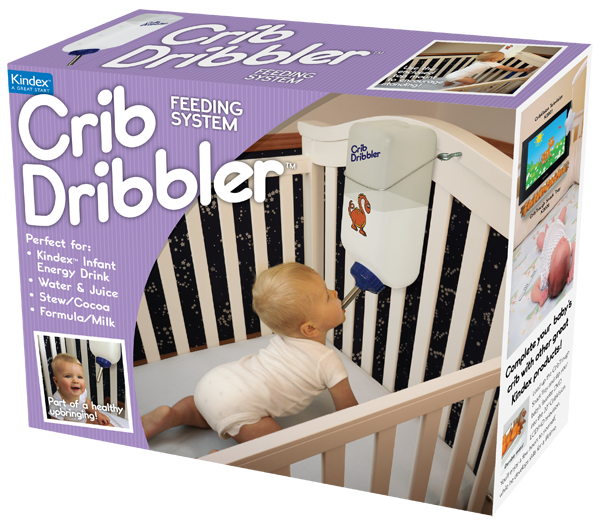 The Crib Dribbler is the perfect Prank Pack for that friend or family member with a baby in their life or on the way! With the Crib Dribbler feeding system, baby will have the alone time it needs and its parents can enjoy some quiet time without having to tend to a hungry baby. Delta Technology presents the iArm, the forearm mount that gives you, well, an extra arm. 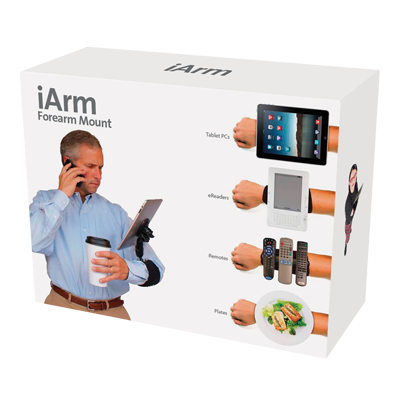 Just 4.5 lbs and fully adjustable, the iArm lets you take your favorite gadget with you. And with the optional "multi-mount", you can secure up to three items at once. Attaches to tablet PCs, eReaders, remotes & more! Going to the big game, an art show or a counseling session? Just fill the Beer Beard with up to 72 ounces of your favorite refreshment, strap it on and sip at your leisure through the patented "Thirs-T-Tooob™". 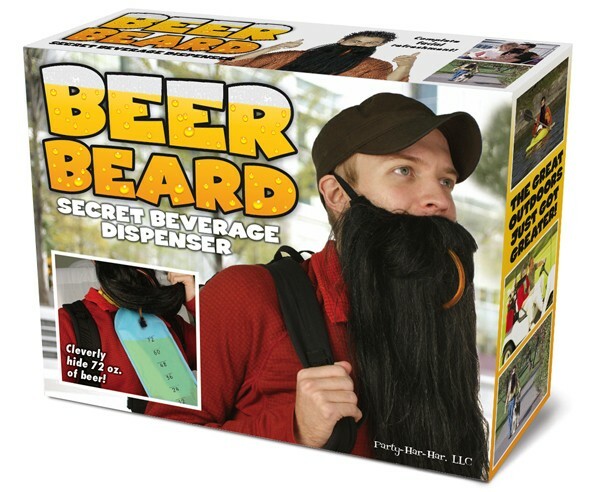 With the Beer Beard, you'll always be undercover and over-hydrated! The blanket that covers up to 8 people! With one sleeve at each end, 2 users can run a remote, feed snacks to others or hold a leash while walking the dog on the boardwalk. 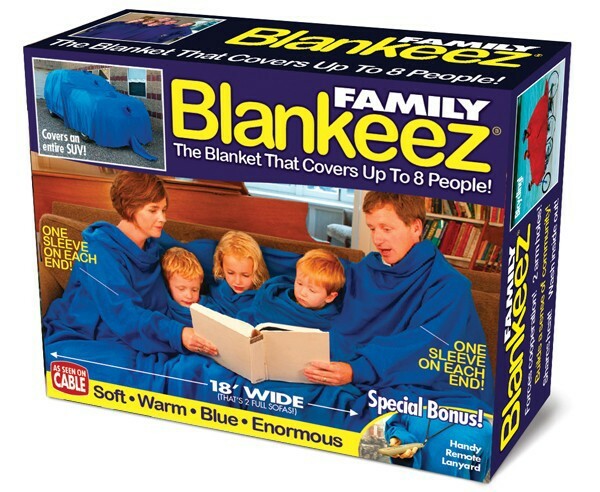 Get together with a Blankeez. So if you want to lighten up your Christmas gathering, package your presents in Prank Packs and laugh all night long! Buy It: You can purchase Prank Packs for 3 for $20 from the Prank Pack website.